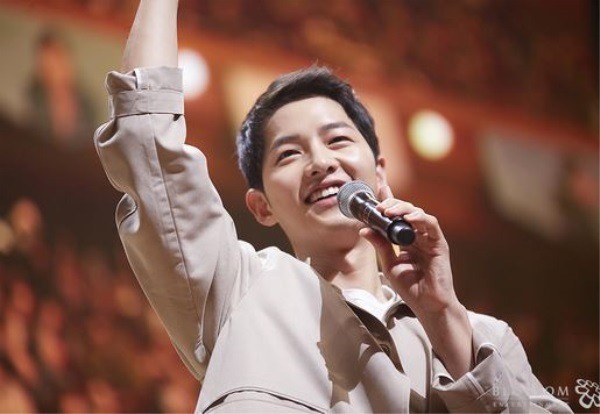 “Descendants of the Sun” star Song Joong-ki’s new movie “Battleship Island” will be filmed in Chuncheon, Gangwon Province, starting in mid-July. According to the city government on Tuesday, the film’s production company is set to build the film set at the site of former U.S. Army base Camp Page, from Wednesday through the end of June. Around 70 percent of the filming will take place in Chuncheon and it will continue through the end of this year. The 6,600-square-meter set will recreate the Battleship Island -- also known as Hashima Island, where Korean people were forced to work during the colonial occupation of Korea. “Battleship Island,” directed by Ryu Seung-wan, follows the story of Korean people who are desperately trying to escape the island. Song will play an independence fighter Park Moo-young, while renowned actors So Ji-sub and Hwang Jung-min join the cast. “The city’s economy will revitalize as film staff members stay here. Also, we expect many hallyu fans from inside and outside of the country to visit (the city) during the shooting,” an official of the city said.